We are serving samples at Liquor Worlde every Thursday-Saturday. to hear what we are tasting. and an event not to be missed. 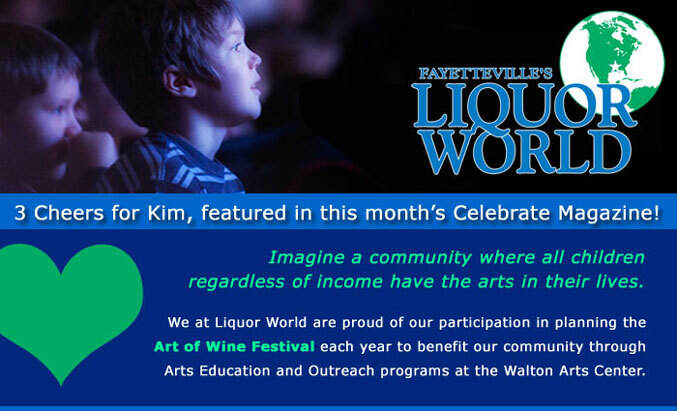 We are proud sponsors of Fayetteville's biggest wine extravaganza, the Art of Wine. Thanks to all who came and supported this fine cause again this year. 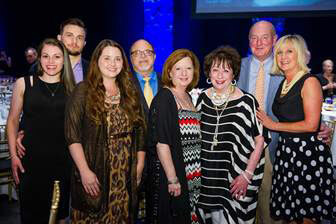 NORTHWEST ARKANSAS, June 12, 2015 – Walton Arts Center announces a $500,000 gift from long-time supporter, The Starr Foundation and the Starr family. This gift is designated for the Investing in our Future: The Expansion of Walton Arts Center, Walton Arts Center’s $23 million campaign to add 30,000 square feet of space, which includes a new and expanded atrium lobby that connects to Dickson Street, significant renovations and expansion of Starr Theater, increased space for back of the house technical and theatrical equipment and new administrative offices.